“Tous Les Jours” simply means “Every Day” in English; it comes from the French language, but it is originated in South Korea. Most of you might have heard of this popular brand of Tous Les Jours Cambodia for its best quality of cakes and everyday freshly baked bread, which currently there are 4 branches in Phnom Penh namely TLJ – Monivong Blvd., TLJ – Sihanouk Blvd., TLJ – Sovanna Mall, and the newest opening outlet TLJ – AEON Mall. Basically, its products are bread and pastry, cakes and beverages. 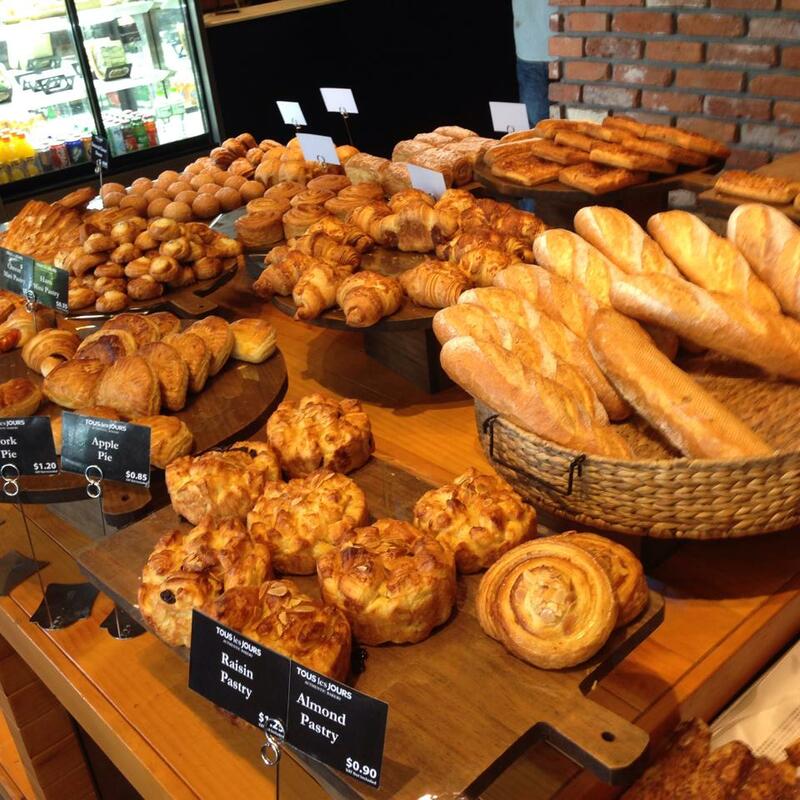 In this article, I am going to write a review of what I like and dislike about Tous Les Jours Cambodia. 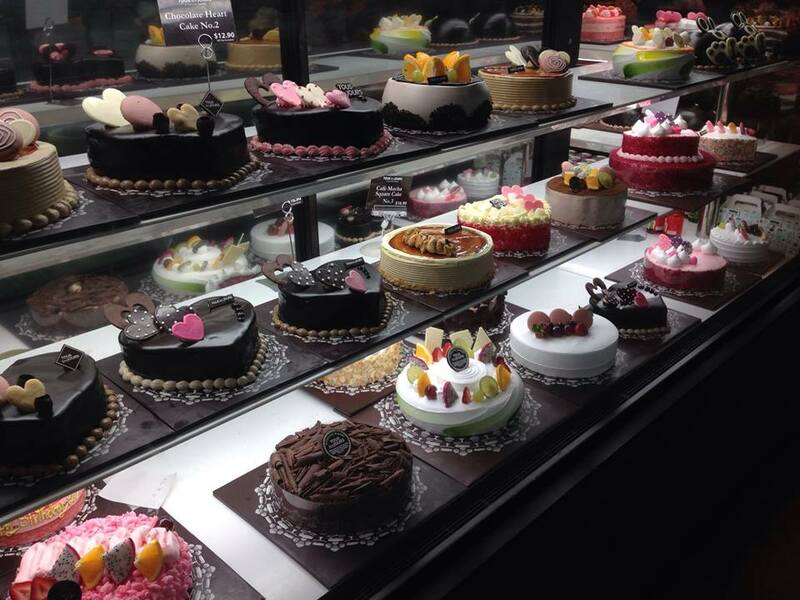 The Cakes at TLJ are even more mouth watering; which you can see its display on the fridge in every TLJ outlets. 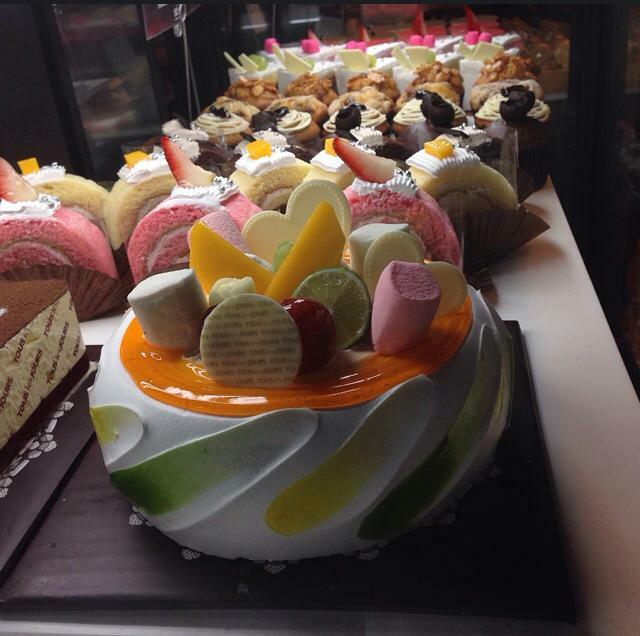 There are many different flavors such as mocha, opera, strawberry, chocolate etc. Interestingly, they are made into different shapes such as square, heart-shape, or even the actual picture of big strawberry or apple. My friends and I always go there to purchase cake in each birthday party. Even my birthday cake last year and this year were also brought from TLJ because of its delicious taste and suitable price. If you guys would like to celebrate any party, do not forget to have a visit to these TLJ stores. Beside cakes, bread and pastry, TLJ also offers the customers with the its frozen dessert which called,” Ice Flake” It will burst up your energy once you try them and you won’t get hot as the weather. There are many flavors available. Mango flavor is my favorite one among the others. It is kinda cool!!! However, when it comes to the payment time, it always takes some times to queue in line. The service is a bit slow in checking the price of those taken bread, but that’s okay. I think this happens sometimes not all the time. It’s time to enjoy the bread now; I can say that the shops really understand me because they always play my favorite songs and current famous songs. Another thing I don’t really like about TLJ is that the plate to put all those bread. Of course, the plate is clean, but it’s quite old that I could see a lot of scratching on those plates. Those scratching plates do not suit with the nice restaurant like TLJ at all. 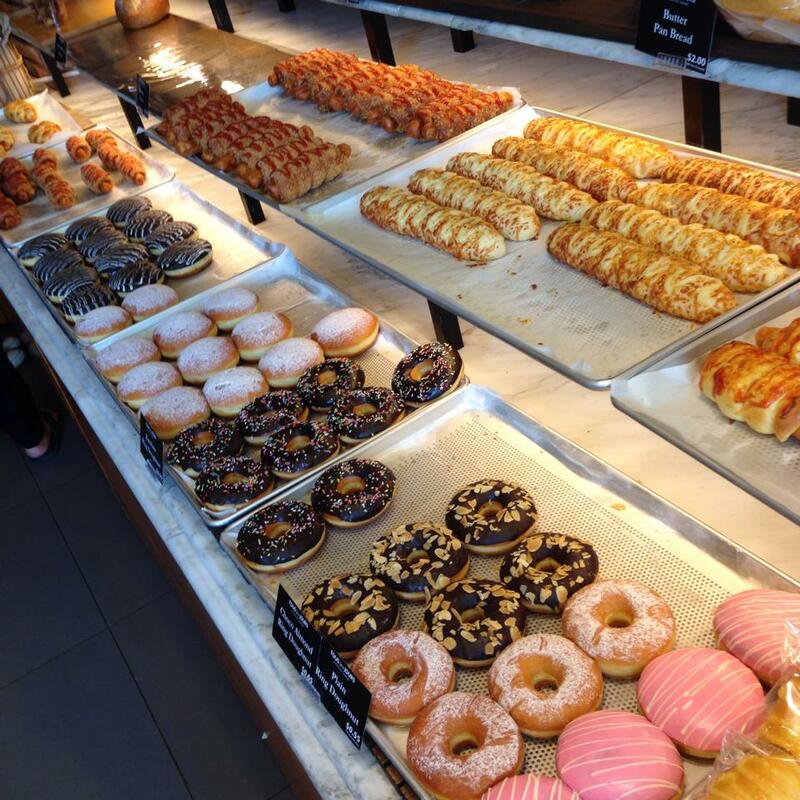 Yummmm… Sweet bread is my weakness!! Love the photos! I love TLJ breads too! 🙂 We used to go there quite often back home. I’m not sure if Singapore has a branch though.